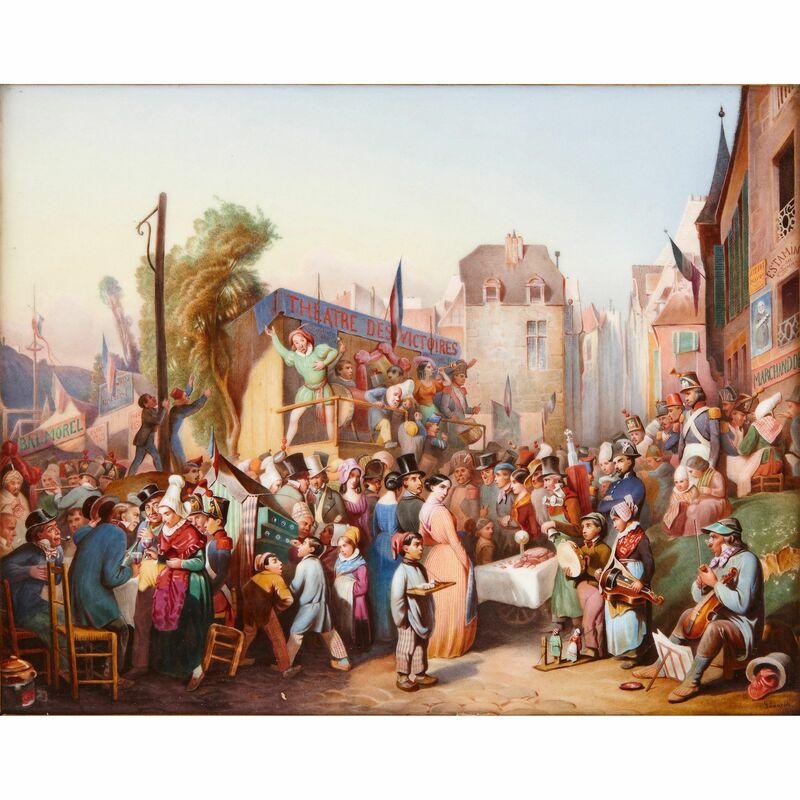 This finely painted porcelain plaque, by the prestigious Berlin manufacturer KPM, depicts a traditional German market scene in beautifully rendered detail. 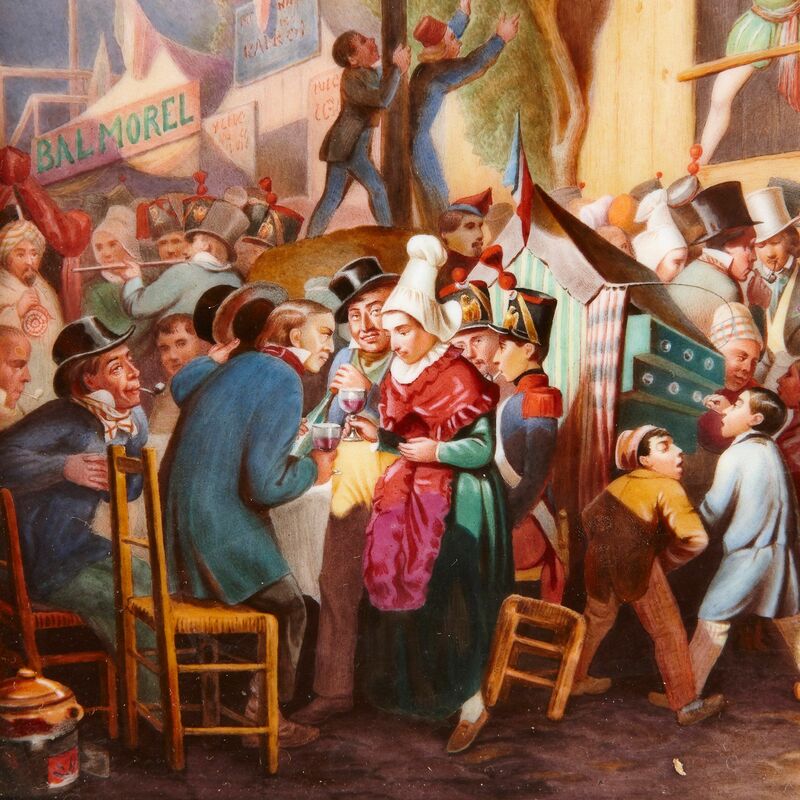 The plaque depicts a bustling market scene in summer, with large crowds engaged busily in buying and selling. 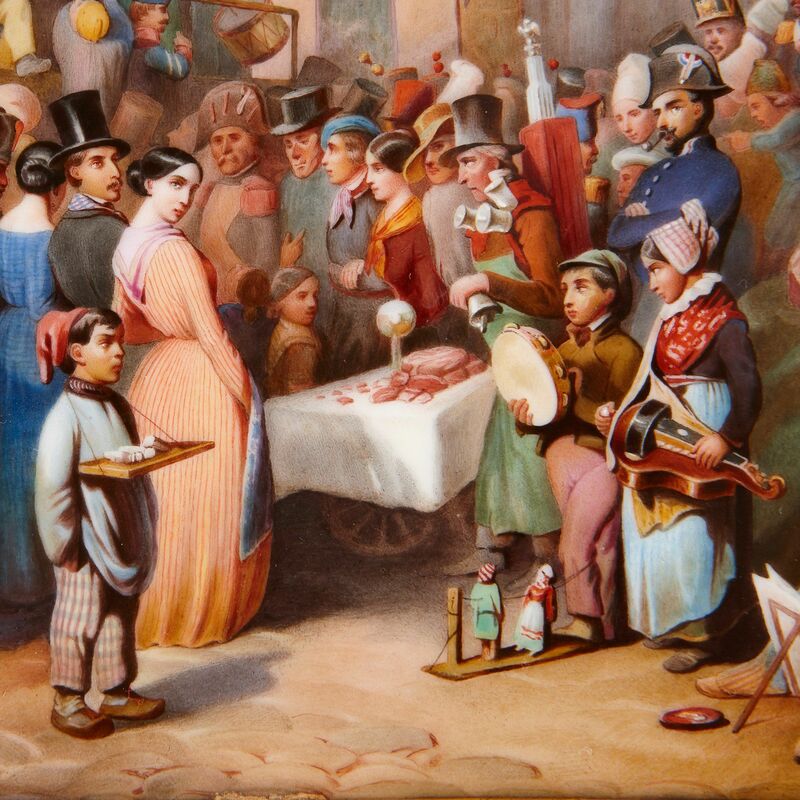 The market features a miniature theatre to the centre of the scene and the town of Lengerich can be seen in the background. 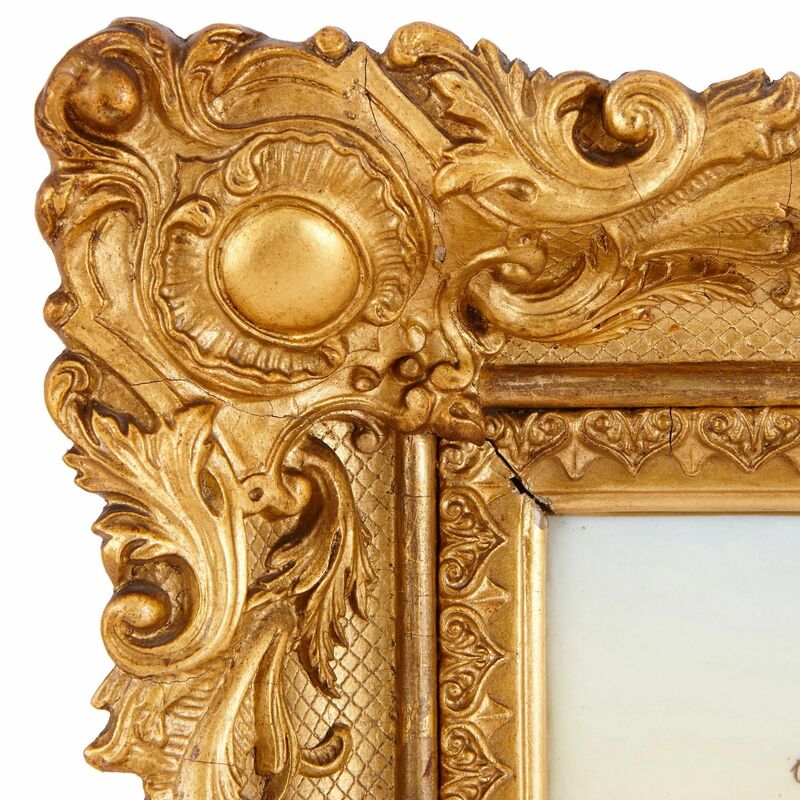 The plaque is signed to the front lower right 'Längrich' and inscribed to the reverse 'Königl. 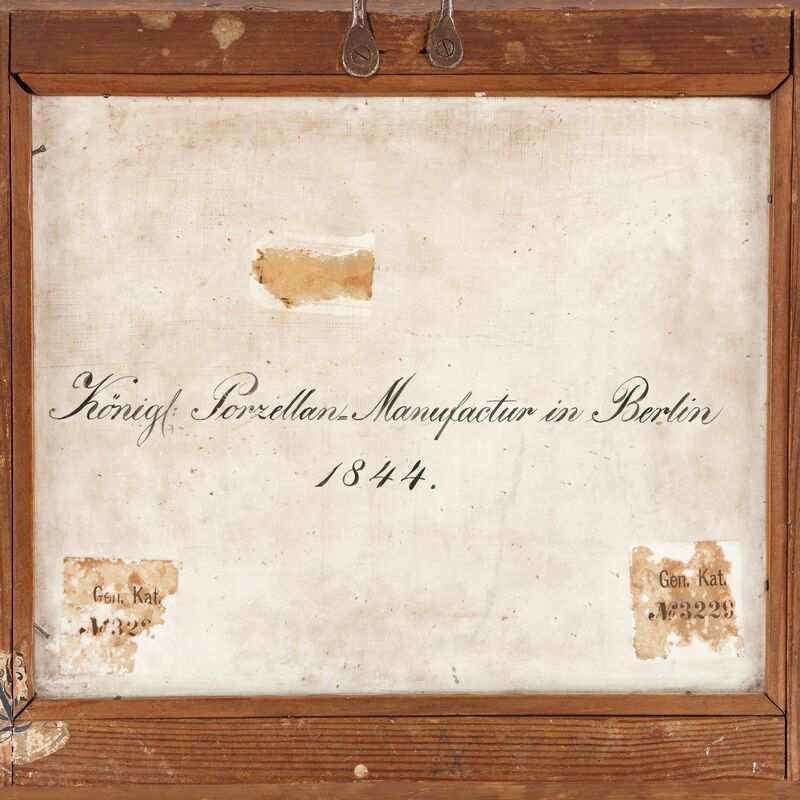 Porzellan Manufactur in Berlin, 1844.'. 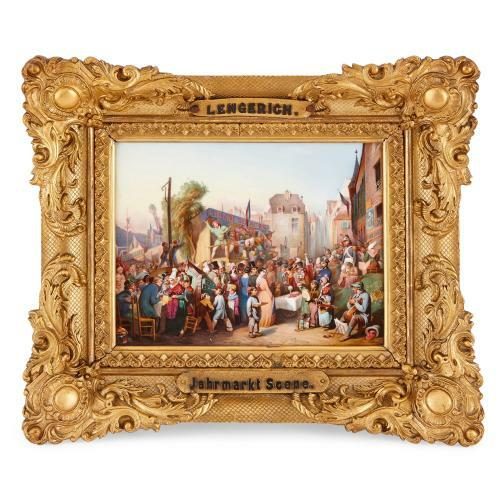 The plaque is set within a fine giltwood frame which is titled to the centre 'Lengerich. / Jahrmarkt Scene. '.